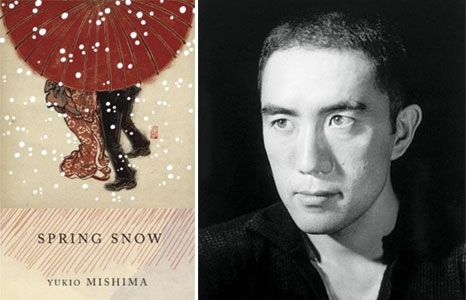 Spring Snow is the first novel in Yukio Mishima’s acclaimed tetralogy, The Sea of Fertility. The final manuscript for the fourth novel, The Decay of the Angel, was delivered the day of his highly public ritual suicide (seppuku) on November 25, 1970. The novel is set in the Taishō period (1912-1914) as the refined and stagnant world of the traditional aristocracy is challenged by upcoming wealthy families. Unburdened by tradition and armed with new ideas and money, these families become a part of a class struggle for social and political power. In the midst of this turmoil, Mishima gives us a poignant love story in which the protagonist, Kiyoaki, mirrors Mishima’s own conflicted feelings.